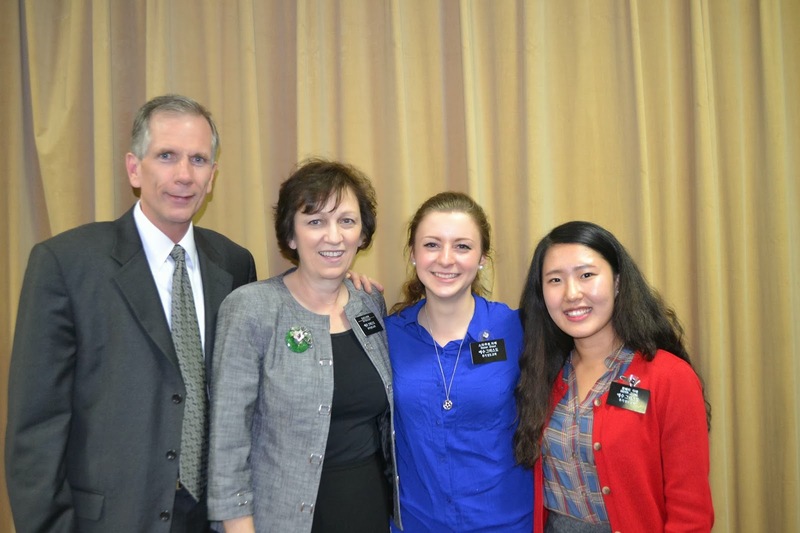 We flew into Incheon at 7:30 PM, met our mission president, put our luggage into cars, grabbed a Book of Mormon, and got on the subway to go to the mission home. It was hard to talk to people because there were 40 missionaries on one subway. I talked to a couple that only spoke Japanese. We got to the mission home at 11:30. In the morning we studied, had interviews with President Morrise, attended some orientations and ate lunch. President Morrise said he thought my Korean was good enough to put me with a native companion. I don't know what he was thinking. My companion does speak English. She studies English during my language study time. I'm glad to be put with a native companion. I hope I can learn Korean faster. And she won't teach me incorrect things. My companion is Jeong He-Ri. We are in the Ahnsang ward. We have four elders with us, One of them came in from the MTC with me. Hauling my luggage across Seoul (2 hours with multiple transfers) wasn't the funnest thing I've ever done. My shoulders are covered in nasty broken blood vessels. We went straight to the church because there was a YSA activity. I wasn't sure what was going on, but we were practicing Christmas songs for a performance or something. I'm pretty sure my face looked like death. It was really hard to say goodbye to everyone at the MTC. The tears were flowing after our evening class. We had to say good bye to three of our teachers plus all of the missionaries. Sisters Jeong and Kil both thanked me for teaching the gospel to their people and it made me cry so hard. My face was so red and blotchy it wasn't even funny. We met with the ward mission leader before church. There are only nine men in our ward. All of the missionaries met with the branch presidency and they called my companion and I to be the 1st and 2nd counselors in Young Women's. While I was in the MTC I could understand better than I could speak (I think that's normal - guessing is easier than using your brain) but that is no longer the case. I have absolutely no idea what anyone is saying. It's pretty bad. I felt like I was in a daze all day. I would just look at the speakers and teachers, feeling like I should know what they were saying but not being able to. I trusted my companion to tell me if I needed to know anything important. I would have moments where I would think, "Oh! They're talking about repentance.... but I don't know any other word." or "Ooh. They used the 'must-form' but I don't know what we need to do." I'm pretty sure people could have paid money to watch my face. It didn't help that I was exhausted. The night before we left, I only slept for about 4 hours and I only slept for a couple of hours on the plane. Then I only slept for a few hours the night we flew in. I fell asleep during journal last night and my companion woke me up at 10:30. I had been looking forward to catching up on sleep on that plane ride for two months. I did help Sister Rose give out a Book of Mormon on the plane and we got his number. After church we went to the Sanbon ward building for a Young Women's activity. We went straight form there to an inactive member's house. She and her husband both used to be active but they stopped attending church because of work and now they're admittedly lazy. She fed us rice, kimchi, kimchi soup, beans, mandarin oranges, persimmons, sweet potatoes, and blanched greens. It was delicious. Oh my heaven the food is so good. Where has it been all of my life? For lunch today we went to a restaurant called kimbap nara (kimbap land) (kimbap is like sushi). A couple of different people thought I looked Russian. One guy said he thought I was Russian because I was too pretty to be an American. What do I say to that. I think I hear the word 'pretty' more often than any other word. It's the ultimate compliment. A lot of girls have self-esteem issues. Plastic surgery is unbelievably common. We went to workout in a little exercise park this morning. They have these little machines that are incredibly useless. I can't even explain them. They don't do anything. I gave up and jogged. I've seen lots of men taking pictures of me. Some try to hide it and some have no shame. My area is kind of rural. It's like Chiba or Saitama. (areas in Japan)I feel like I've been on a long trip and I've just come home. Everything is just perfect. I'm reliving all of the sounds, smells, tastes, feelings, and all of the senses from my childhood. It makes me so happy. I'm surrounded in it. Every minute I see something that makes me happy. I'm so happy. It's just perfect.